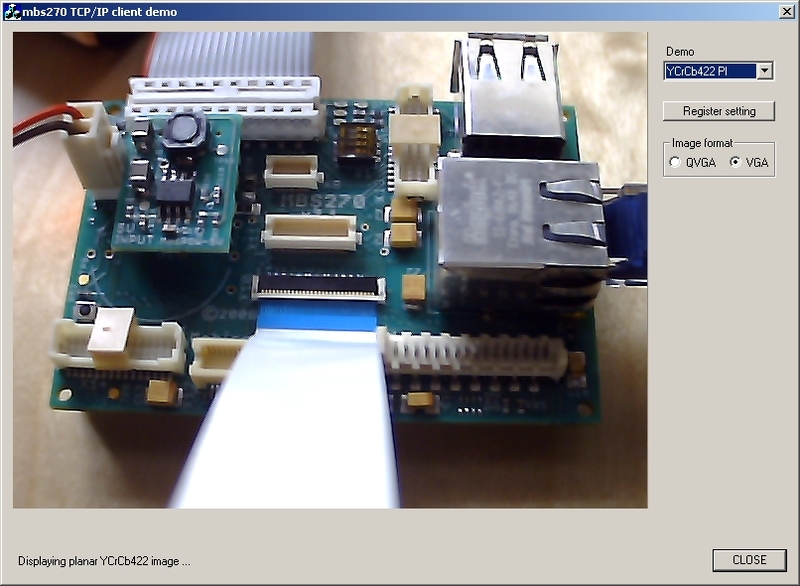 MBS7720 is connected with a 200mm long FFC (white strip in foreground). MBS270 V2 is powered with a 4 NiMh battery pack and a MBSPOW-5V power module. 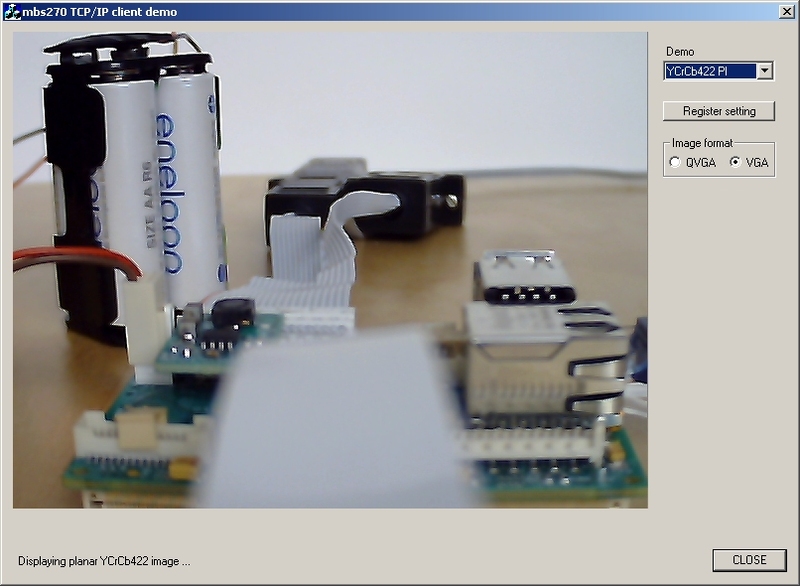 Pictures are screen copies of demo software. Click on image for full resolution. 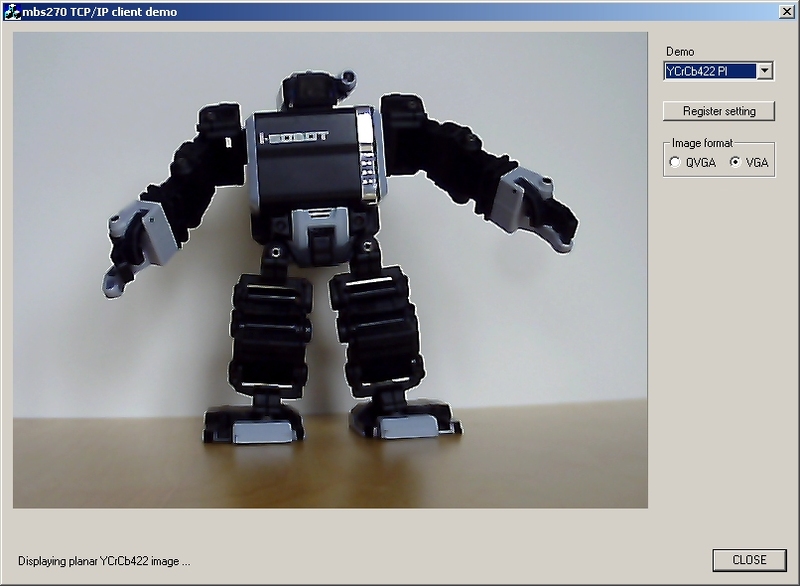 Picture is a screen copy of demo software. Click on image for full resolution. MBS270 V2 is so compact it can fit in the back of any humanoid robot, including I-SOBOT, the world smallest one. You can develop your own humanoid software with vision, sound, voice recognition, motion and communication without additionnal hardware. 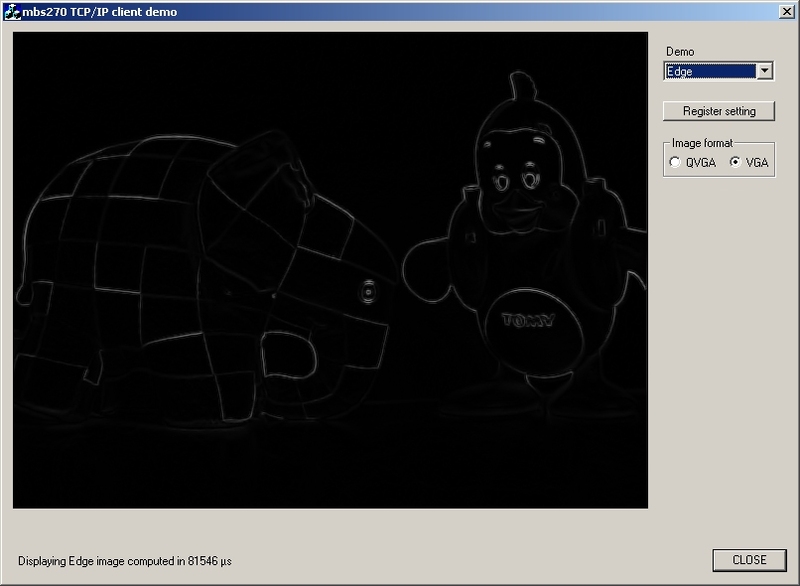 Pictures are screen copies of demo software. Click on image for full resolution. 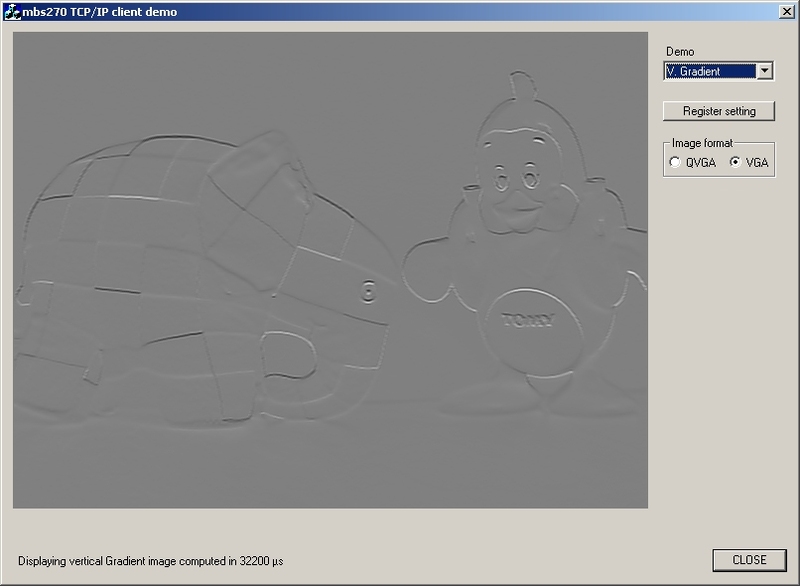 Horizontal gradient computation of QVGA image (Sobel filter). Horizontal gradient computation of VGA image (Sobel filter). 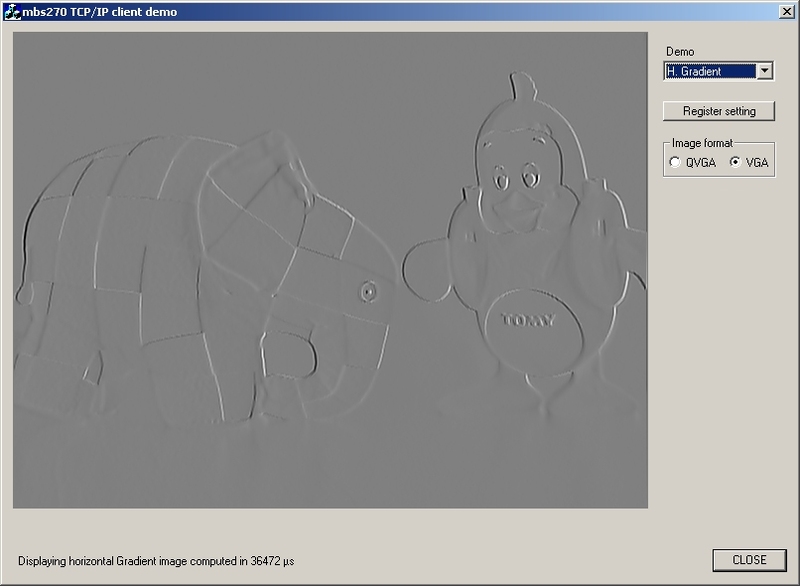 Vertical gradient computation of QVGA image (Sobel filter). 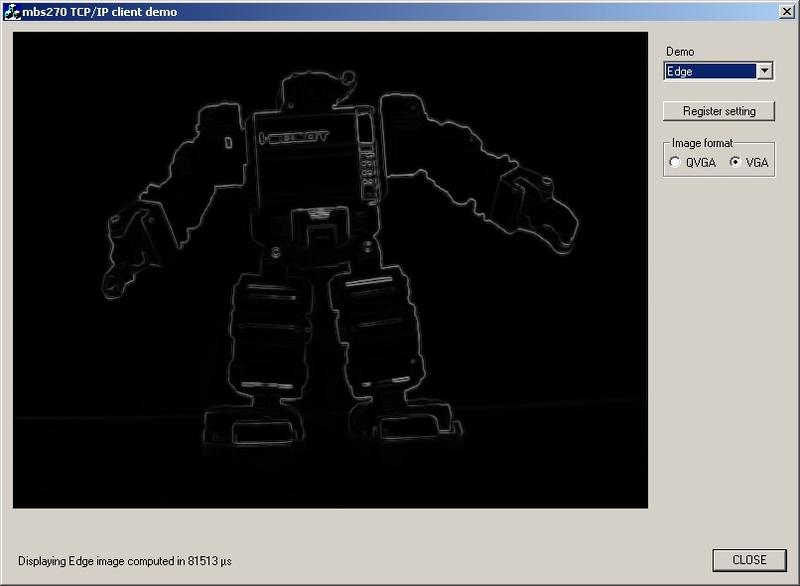 Vertical gradient computation of VGA image (Sobel filter). 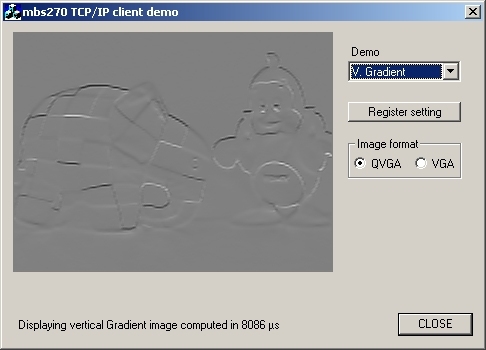 Edge computation of QVGA image. 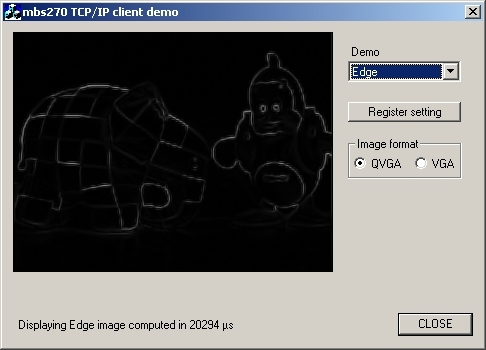 Edge computation of VGA image. 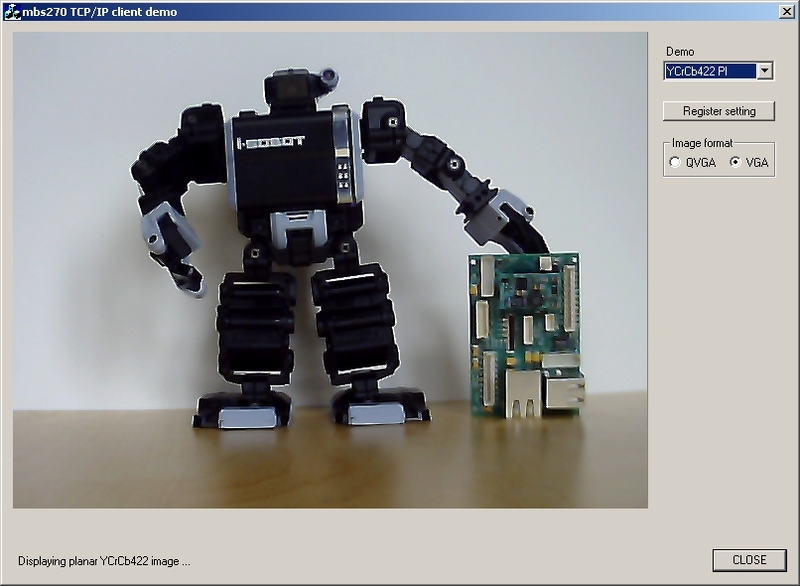 Edge computation of I-SOBOT VGA image.